Ror’s journey is a seamless blend of words and pictures, cinematic in its scope–a sharp-edged, indelible work of art that will live inside your head. Ror has just gone through a traumatic experience. Her family lived on a four-acre commune outside of New York City with her father, her Dado, as the leader. They were following a manifesto he had created out of unhappiness with the government when, suddenly, he burns the place to the ground, killing himself and leaving Ror, her mother, and her sister with nothing. It’s 1984 and her family is forced into a homeless “hotel,” and Ror is forced into public school for the first time. Her counselor sticks her in an art class, where she meets Trey, the “King of the Underground,” a reference to the graffiti he and his crew create across New York City. 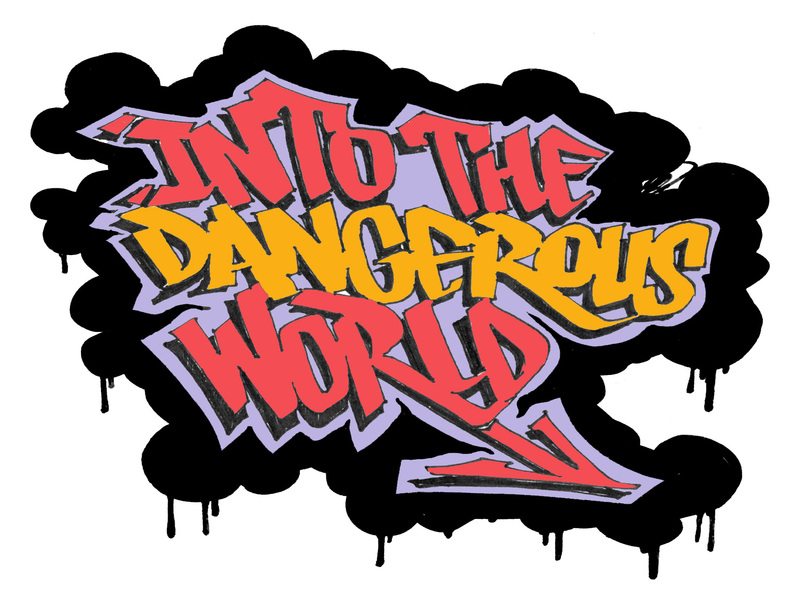 Into the Dangerous World follows Ror as she tries to find her place in the world, getting involved in graffiti and other trouble as she struggles with that journey. Into the Dangerous World is a very unique story, told using both words and illustrations. The underlying message is what stood out most to me as I read. Ror’s story is one of feeling lost and insecure in who you are as a person and in the struggle to put the pieces together. She uses art as her outlet, but even in her “safe space,” there are conflicting voices trying to push her to different paths: Do this. No — do that. One voice is telling her to go the traditional route of art school and art galleries, while the other is telling her that graffiti is her chance to be different. This is something that everyone can relate to: trying to solve the questions of who am I? and what I am supposed to be doing with my life? when so many people are giving you advice that only confuses you further. Into the Dangerous World is a very in-depth look at Ror’s struggle with this, and I think this is what will make it resonate with readers. Personally, there were some things that didn’t quite click for me in Ror’s story. Her attitude and getting sucked into the street crowd so easily confused me with the contrast to her upbringing and how her family members were adjusting. It’s possible I just had a hard time connecting to Ror herself because of the time differences and the fact that I’ve grown up in a different lifestyle; I can’t seem put my finger on it. That’s not to say I didn’t enjoy the story, but I did feel conflicted with some parts as I was reading. But the overall message and theme definitely hit home; I was thinking about Into the Dangerous World days after I finished reading. Julie Chibbaro has a wonderfully visual writing style. The illustrations, done by JM Superville-Sovak, were beautiful on their own and added to the story well, which was especially helpful with my lacking knowledge of graffiti. With art being so central to Ror and her story, the illustrations are a perfect addition to this book. Into the Dangerous World has the potential to be beneficial to a lot of teenage readers. The message is very well conveyed and inspiring, and I think Ror’s story could resonate with a lot of young readers in similar situations. 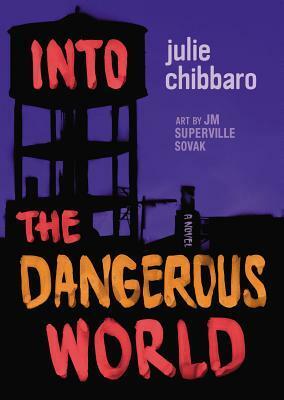 Into The Dangerous World also features diverse characters and settings, which there has been a big cry for in young adult literature lately. It’s like nothing I’ve ever read before, and I’d recommend it for teenagers, and artists especially, struggling to find their identity. Next ArticleTV Review: Teen Wolf (5x09) "Lies of Omission"